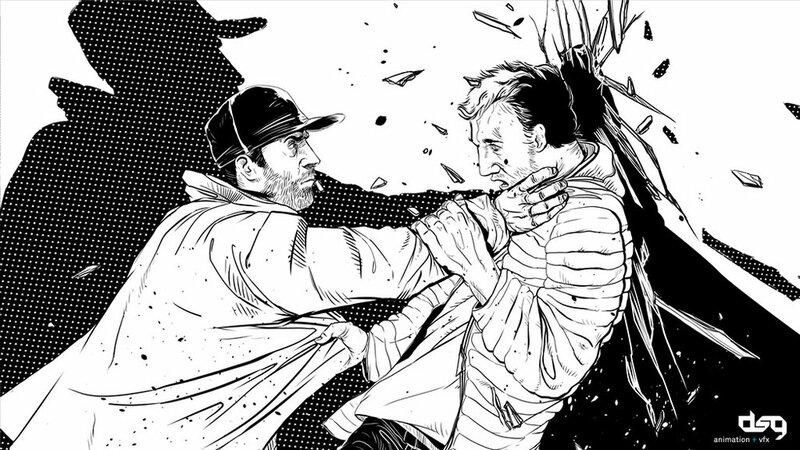 Making-of the animated teaser for season two of “Umbre” produced by HBO. 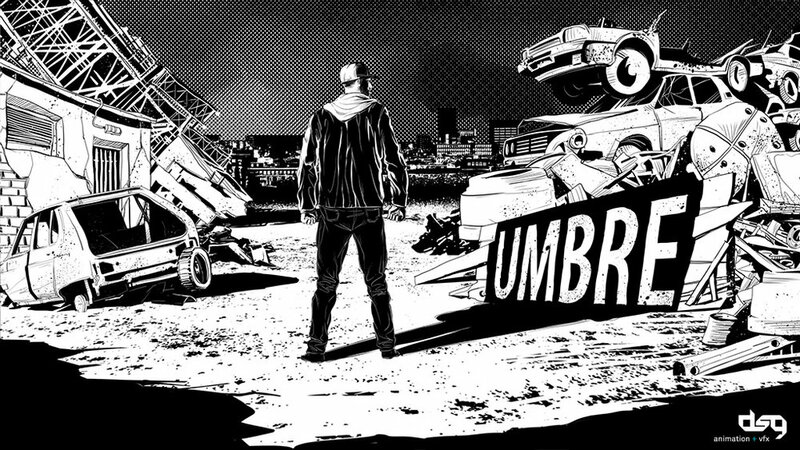 For the second season of HBO's Umbre , I was asked to make a teaser using a graphic novel/ film noir style while the camera moved through the freeze frame. I started with some quick thumbnails, then reimagined and drew the shots using live action references. The animation consisted of camera movements through the layout elements scattered in 3d space. I animated the rain, blood, speed lines, and smoke using a mix of compositing effects, frame by frame animation or by overlaying live footage on top of the graphics.